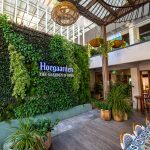 Why choose us as your vertical garden partner? From inception to completion, we bring unparalleled experience to vertical garden collaborations with leading architects, developers and retail brands. We’re Vertikal by name, nature and business – 100% of our focus, experience and passion goes into creating extraordinary commercial and luxury residential vertical gardens. So when you collaborate with our team on your building project, you can be assured we’ll bring the knowledge and ability to deliver your vision. We also understand the challenges that arise when creating and developing innovative building design – and have the years’ of experience to face and solve them together with you. Every day, our experienced team work alongside architects, builders, site managers, tradesman, electricians, lighting technicians, plumbers, maintenance crew and the end customer. 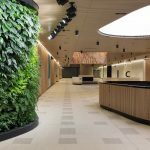 From design brief to supply, installation, construction, irrigation and maintenance, we manage each step in bringing your vertical garden to life on time and on budget, so you don’t have to. can be installed quickly, even on short notice, without holding up your project. opens you to more exciting and innovative design possibilities. better complements the varying needs of builders and developers. 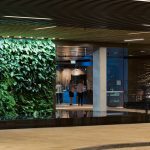 We specialise in, and collaborate on, customised vertical garden projects for office, hospitality, retail and luxury residential projects across Australia. As a client, you’ll benefit from our depth of knowledge, years of experience, and our system – designed to have minimal impact on tight building schedules. 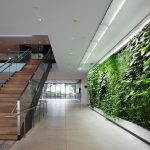 Vertical gardens are living organisms that need ongoing care to thrive and provide their many benefits. They are also a significant investment and a reflection of your brand. A scheduled maintenance program ensures health and vibrancy year round. 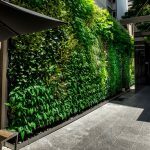 Need a vertical garden specialist? Contact the Vertikal team today.